There have been more than a few prayers said about the Roughriders over the years. If you need someone to lead those prayers perhaps Jared Lacoste is your man. 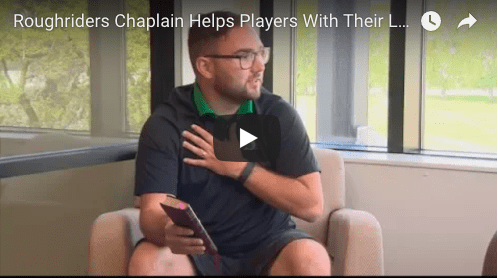 He is the chaplain for the Saskatchewan Roughriders. Here he explains how he got into the job and why it means so much to him. Watch video here.